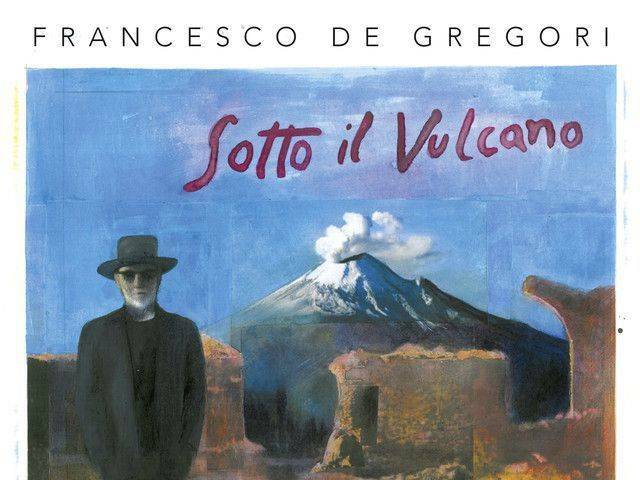 Il nuovo album "Sotto il vulcano"
The CD "De Gregori Canta Bob Dylan - Amore e Furto"
Francesco De Gregori’s tour began in Nonantola’s Vox Club, in the province of Modena, Italy, on October 13 of last year. 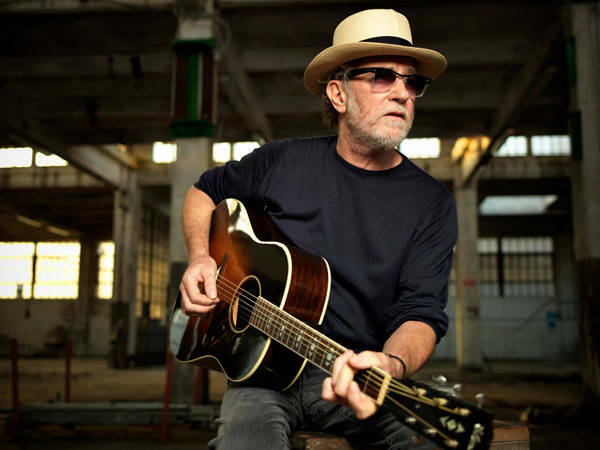 His tour looks to greet the public in a more intimate space and will bring the singer-songwriter to the stage in clubs both in Italy and abroad. 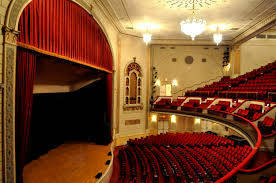 In addition to the European cities, De Gregori’s tour calendar also includes two dates in the United States, in Boston and in New York’s The Town Hall, a historic Broadway theater where Bob Dylan played. We reached De Gregori by phone the night before his concert at the Bataclan, a historic space for musicians from across the world. It also became famous for the terrible attack that occurred on November 13, 2015. 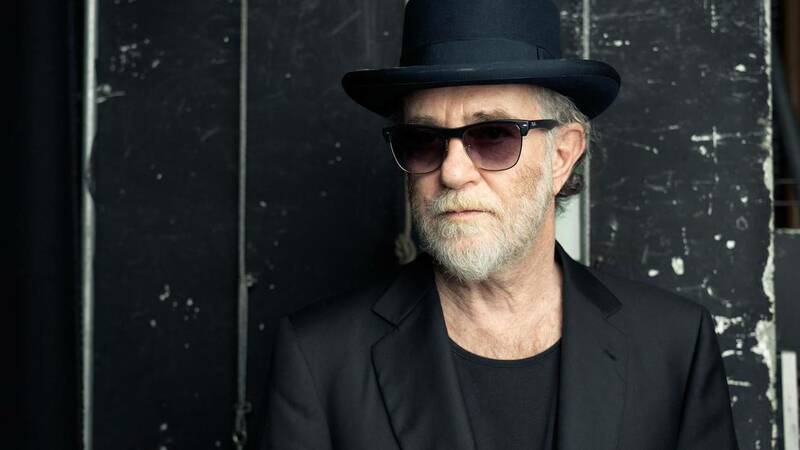 We immediately asked him what pushed him to do a tour in smaller locations and clubs given that, together with Lucio Dalla, he was one of the first, if not the first, Italian artist to fill entire stadiums during the legendary Banana Republic tour. “It was a long time ago. 1979. Over the past forty years, I’ve had the chance to play in both small spaces and big spaces. It all began at the Folkstudio (a Roman music club that was producing music since the 60s, ndr), which was my baptism by fire. When it was really crowded, it held 150 people. From there on, I learned a rule, which is really important to me: play for the audience, regardless of how many people are there. For a few ideas, there was this “sold out” idea. If you didn’t sell out in presales, it seemed like a tragedy. I was never interested in all of this. 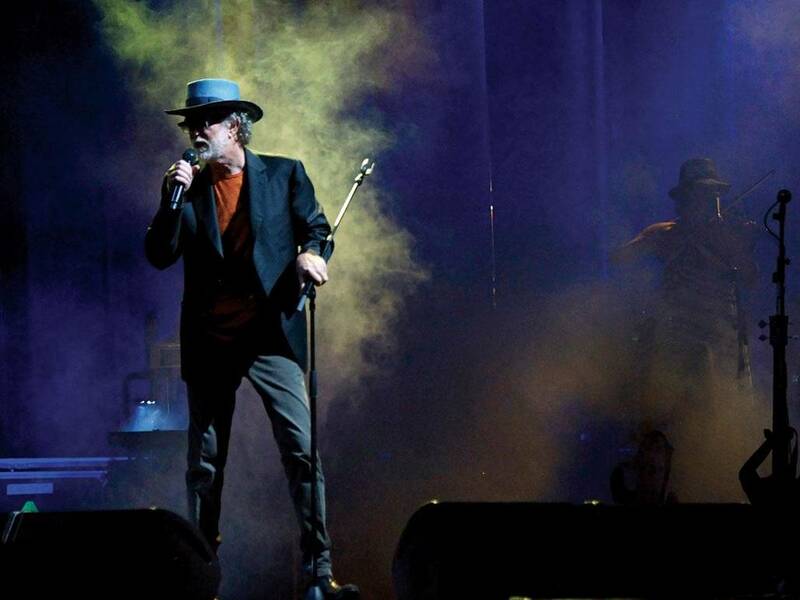 Few Italian artists can sell out, artists like Vasco Rossi, Ligabue, Laura Pausini, Tiziano Ferro, and Jovanotti. On the other hand, I alternate between large and small spaces. Instead of doing two mega shows, I often prefer to sing in smaller venues. I like to play, and to me, playing is both routine and pleasurable. I like the idea of being a man who leaves home to go work 50/60 concerts a year, and I’m very happy to do it. I played a lot in Italy, and every so often I like to go abroad in order to leave space for other musicians. For this tour, I changed my group and sound to find something new. For me a tour is also an experiment. Why is the drummer missing from the musicians who are accompanying you? 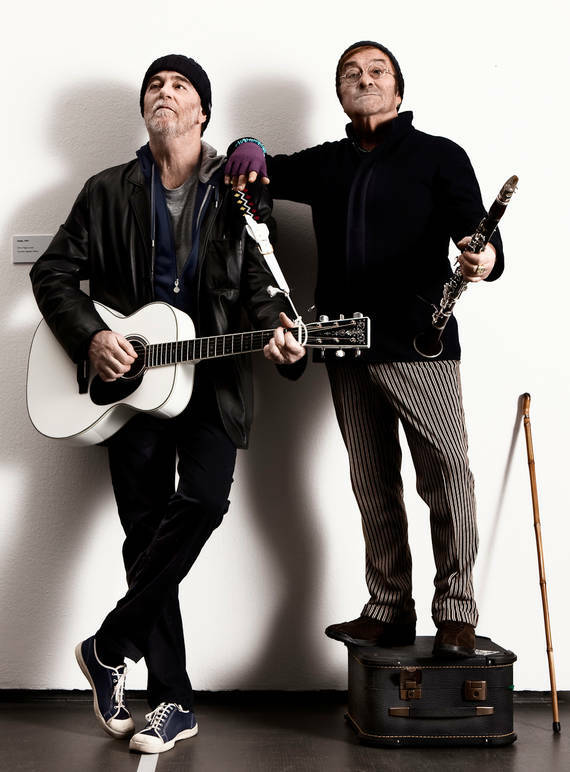 How did you choose the songs for the set list, including the duet with your wife? We did “Anema e core” on the first night, but we don’t know if we will do again. It was a nice idea that came to mind. My wife sings very well. When I met her more than forty years ago, we used to sing together for fun. She also used to come to Folkstudio, where my artistic career began, and we would sing songs together. We sang American songs and popular Italian songs. “Anema e core” happened by chance. We went to Naples to celebrate a birthday. I remember we found ourselves in a restaurant where there were those parking lot attendants who came to the tables to sing classic Neapolitan songs. I would have asked them to sing “Anema e core,” which is a song that I really like. Unfortunately though, nobody came around, so my wife and I began to sing it under our breath. It was for fun at first, but given that it sounded good, we decided to add it to our set list. We studied Neapolitan pronunciation together. For the first part of the set list there are lesser known pieces, which are difficult for the audience. Spectators feel reassured if they hear something they already know, but if you present them with something they’ve never heard before, they’ll be curious at first but then happy in the end. I always feel bad leaving some songs out of the set list, but I don’t want to do a concert that lasts more than two hours, at the max two and a half hours. It’s not that I can’t do it, but if I’m at a concert as a spectator, after two hours I want to leave. My attention span runs out. By necessity I needed to leave out some songs, but I will reuse them because I don’t do the exact same setlist every night. What effect will you bring to the Bataclan? Can music, with its strength, counteract violence? The Bataclan is a famous place in Paris. In Italy, it’s now linked to the dramatic attacks, but it should be seen for what it is. That is, a temple of music. The Bataclan, the Westminster Bridge, the boardwalk in Nice, these are all normal places for socialization, work, and play. Despite the tragic events that happened at the Bataclan, I’m going to carry out my work as a musician. We all should have this response of normality in the face of terrorism. 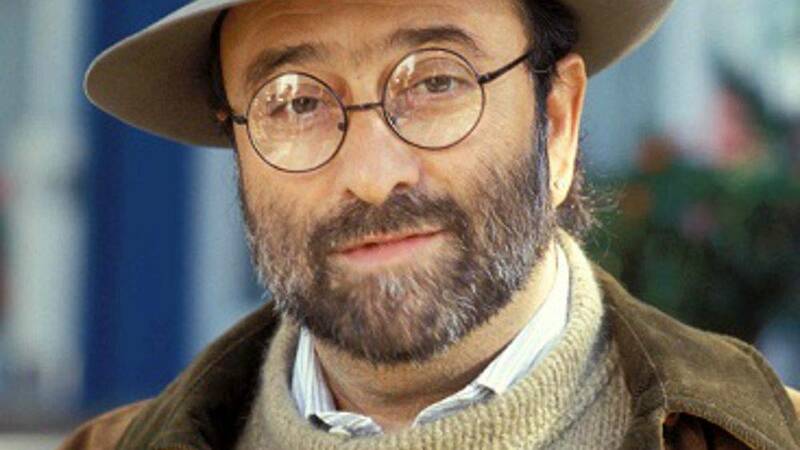 Your last album is Sotto Il Vulcano, a disc recorded live during the tour in which the great Lucio Dalla sang the song “4 marzo 1943.” How was your friendship born, and do you miss him greatly? Last summer I was doing a tour in Sicily, and a few days before the concert at the Teatro Greco di Taormina, I passed by Milo, which is at walking distance to Etna. Lucio had a house there, and I whistled his 4 marzo 1943. I thought about playing it during the concert but without loading it with rhetoric. It’s clear that I miss Lucio. I was very close to him, and I learned a lot from him, but I’m not sad. 4 marzo 1943 is also on this tour’s setlist, not to remember Lucio but to bring such a beautiful piece of Italian music to the rest of the world, to act as a testimony to the beauty and the richness of a certain type of Italian music. It’s possible that outside of Italy our pop music is more well-known, the music made by the artists who have a television presence. Instead, I want to show, abroad especially, a different side of our music. 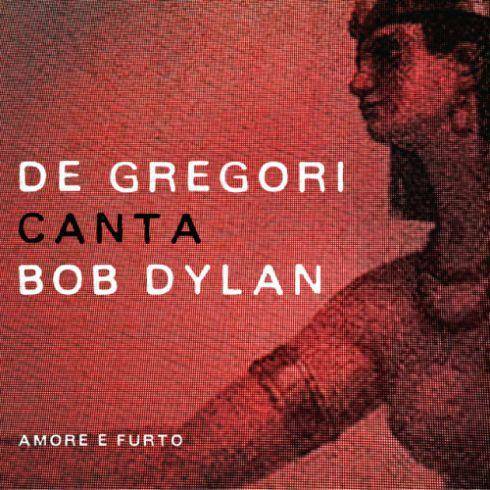 What remains in Italy today from the great period of the singer-songwriters? From that great period remain the songs. The singer-songwriters’ personalities, as were described by the press back then, were very unpleasant towards everyone. At the end of the 70s, this snooty figure of the singer-songwriter emerged. Perhaps that’s what we were. I believe the figure of the singer-songwriter was not very well-accepted by the media, but the songs remained. Is there anyone in Italian music today who is at your level? At Dalla’s level, De Andrè or is finished? There are 10,000 at my level. Today there is a different kind of music that I struggle to listen to because my ears are part of the musician who I am, who loves a certain melody, who loves certain type of instrument, who doesn’t love electronic, the exacerbated rhythms of the bass and the drums. I don’t love the sound that people listen to on their radios. It all seems to have the same sound. I live in another world. I’m not the best person to judge today’s music, but I know Italians know how to do–they know how to play. I find it amazing that the same guy who listens to Fabri Fibra then listens to Generale or Rimmel and then comes to my concerts to see how I do them, since the way I do them now is different than how I did them then. Music contains mysteries, and I’m a part of it. Think of Bob Dylan’s Nobel Prize. Do you think music is literature? A song can be literature. If you asked me if the text of a song can be literature, I would have said no. However, the song as a whole, in its complexities, is literature. I believe it’s just as cinema and comic books are literature. I would have given the Nobel Prize to Walt Disney and to Shakespeare if it existed in their times. Shakespeare wrote, not to be read, but to be represented. Therefore, why should we limit literature and the Nobel Prize to anything that can be written on a page? Literature is whatever language man uses to communicate his sentiments, depression, anxiety, defeats, desperation, and, therefore, cinema and music can be considered literature. If Fellini were given a Nobel Prize, I wouldn’t be surprised. It’s quality that makes the difference. You’ve done tours abroad before, but it will be your first time in the USA. How do you think it will feel to play in America? I went to America for the first time in 1976, and I traveled a lot by car. For me, in terms of culture, America has always been very diverse. As a kid, I used to watch films about cowboys like The Magnificent Seven and High Noon, but I also saw things like Mickey Mouse, Donald Duck, Nembo Kid, and Superman. As I got older, I read literature by Melville, Steinbeck, and Dos Passos. I don’t want to be a conceited singer-songwriter, but when I was 20, I was fortunate enough to read the work of the great American authors. America has given me a lot in terms of literature, culture, and music. Bob Dylan, Elvis Presley, African-American music, blues. For me, playing in America is like going back to where so many things were born; I took them and made them mine. What’s your view of other Italians abroad? The Italians abroad are very different from each other. There are various categories, some of which stem from people’s age. Going around Europe I see so many Italians at concerts, and they’re all proud to be Italian. They have this greater sense of belonging than we do as people who live in our country full-time. We aren’t attached to our being Italian, while those abroad feel this belonging, this love for their country, nostalgia. I also noticed that they’re very well-liked, and they don’t have this sense of inferiority in respect to, for example, German, Swiss, or French citizens. This delights me. How relevant today is your song “Viva L’Italia”? Has Italy today changed much from Italy in 1979? I don’t follow modern Italy. I can live there without following it. America has also changed since ‘79. So has France. Everything has changed.